The super-heavy tank is an armoured fighting vehicle of very large size, and though there is no precise definition of such a vehicle, it can generally be assumed that it is a machine massing in the order of 70 tonnes initially, and later well over this figure. The task envisaged for super-heavy tanks was penetration of enemy formations and defences without any real threat of being destroyed in combat. Only a few such types were built, and there is no definitive evidence that any of these vehicles saw combat. Examples were designed in World War I and World War II, and also during the ‘Cold War’. 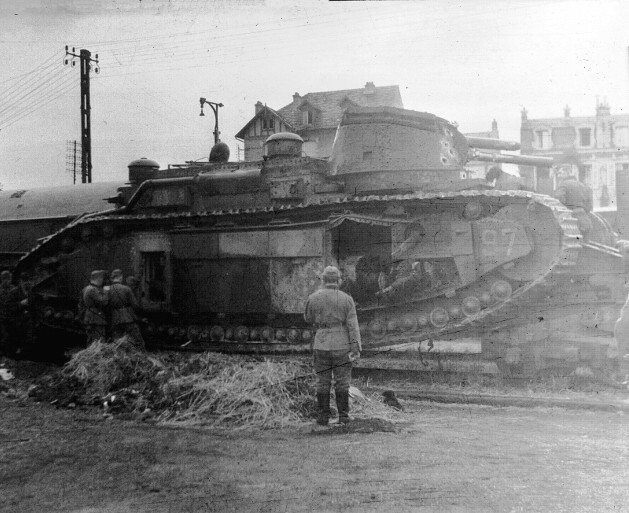 The FCM Char 2C was an early example of the super-heavy tank, and was a French machine developed in but not deployed during World War I. It was in physical dimensions, the largest operational tank ever made. The origins of the Char 2C are uncertain, but in the middle of 1916 Général Léon Augustin Jean Marie Mourret, the French under-secretary for artillery, gave the Forges et Chantiers de la Méditerranée (FCM) verbal permission to embark on the development of a heavy tank as the Char d’Assault de Grand Modèle, despite the fact that the French army had not issued any requirement for a heavy tank. No real design or development work followed, however, for FCM seemed content with the profit it made from its initial verbal contract. It was on 15 September 1916 that the British deployed tanks in battle for the first time in the form of the Tank Mk I, and the French now became curious about the state of their own tank projects. Mourret investigated the progress made by FCM and, soon learning that there had been none, on 30 September took personal control of the project. On 12 October, knowing that the Renault company had some months earlier made proposals for a heavy tracked mortar, which had been rejected, he requested Louis Renault to assist FCM in the development of a super-heavy tank, and Renault agreed. Even before knowing the exact nature of the project, on 20 October Mourret ordered one FCM prototype. These developments coincided with the demand by Albert Thomas, the French minister of armaments, for the production of a tank superior to the British types. On 7 October he had requested the British secretary of state for war, David Lloyd George, to deliver some Mk I tanks to the French but had received no answer and, concluding that no such deliveries would eventuate, on 23 January 1917 he ordered the development of French tanks faster, more powerfully armed and better armoured than any British vehicle. He specified a mass of 40 tonnes, immunity against light artillery projectiles and a trench-crossing capacity of 11 ft 6 in (3.5 m). Renault had meanwhile consulted his own design team which, under the leadership of Rodolphe Ernst-Metzmaier, had since May 1916 been involved in the design of the Renault FT light tank. This work had not, however, stopped the design team from the consideration of other tank types, and Renault had encouraged the team to prepare contingency studies to allow rapid response to demands for any type of tank, including the super-heavy tank. Thus a full-sized wooden mock-up was completed in a very short time, and this was inspected by Jules-Louis Breton, the under-secretary for inventions, on 13 January 1917. Breton was highly impressed and developed a keen interest. The design was offered to the Comité Consultatif de l’Artillerie d’Assaut (Consultative Committee of Assault Artillery) on 16/17 January 1917 and, being seen as the most advanced design of its time, was received favourably as a potential war-winner. The design featured a 105-mm (4.13-in) gun in a turret (current British gun tanks had two 57-mm gins in lateral sponsons), and had a proposed weight of 38 tons and armour up to 1.38 in (35 mm) thick. The committee decided to order the development of two prototypes, one with electric transmission and the other with hydraulic transmission. This reflected the fact that at this time both the French and the British had become aware of severe mobility and steering problems with heavy tracked vehicles using difficult and very limited mechanical transmission systems and differential braking for steering. In January 1917 the French Armaments Ministry proposed the development and manufacture of tanks in three weight classes, with the heavy class corresponding to the new project. However, the FCM tank had already gained a powerful opponent in the form of Général de Brigade Jean Baptiste Eugène Estienne, commander of France’s new tank ‘assault artillery’ tank arm and who had worked closely with Renault in the development of the FT and had therefore been kept ‘in the loop’ about the other tank project. Estienne feared that the production of the heavy vehicle would consume all available resources (materials and manufacturing), thereby rendering procurement of the much more practical FT light tank impossible. 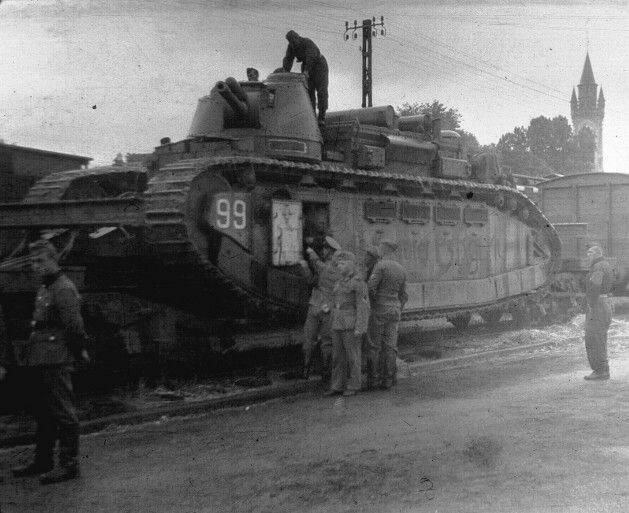 Estienne was not against the production of heavy tanks as such, but only in limited numbers and on the condition that their manufacture did not impinge on the manufacture of light tanks. The reality of Estienne’s fears became clear in November, when Mourret tried to obstruct further development of the FT with the argument that all available resources should be concentrated on heavy tank development and production. On 27 November Estienne wrote a letter to the French commander-in-chief, Général Joseph Jacques Césaire Joffre to defend the light tank concept and point out the potential disaster which might result from a total French commitment to the ‘colossal landship’ concept, which might be a technical or tactical failure. Joffre accepted Estienne’s analysis, but added that he could not act to block development of the heavy tank as it had received political backing at too high a level in the government. Joffre therefore advised Estienne that the FT programme would not be cancelled, and as heavy tank development was necessarily a longer-term effort, it would not interrupt light tank production. The CCAA had been created on 13 December and met for the first time four days later, and in this initial session members were informed that Renault and FCM were co-operating on a 30-tonne heavy tank project. At the next meeting on 30 December, Estienne was disturbed to find that the new tank was being planned with a 105-mm (4.13-in) main gun despite the fact that Estienne had indicated his preference for a 75-mm (2.95-in) weapon. Even so, on 17 January 1917, Estienne wrote to the CCAA that he found the heavy tank project had been well presented, and agreed with the quick construction of two prototypes, but restated his preference for a 75-mm (2.95-in) gun. In December Joffre was replaced by Général Robert Nivelle who, late in January, learned of the heavy tank project from Estienne and was highly alarmed. On 29 January he wrote to Thomas, making it clear that under no circumstances should the project be allowed to impinge on production of the new Schneider CA tank. Thomas answered on 5 February that there was no danger of this and that four days earlier he had signed off on the simultaneous development of three prototypes: the lightened ‘A’ model with a weight of 30 tonnes, a length of 22 ft 8.5 in (6.92 m), suspension featuring 29 double road wheels, four main bogies and five top rollers, powerplant of two 200-hp (149-kW) Renault engines and a 75-mm (2.95-in) gun, to fulfil the original order of 20 October; the ‘B’ model with a weight of 45 tonnes, length of 24 ft 3 in (7.39 m), suspension featuring 30 road wheels, five main bogies and six top rollers, powerplant of one 380-hp (283-kW) engine powering a petro-hydraulic transmission, and armament of one 75-mm (2.95-in) guns and two machine guns; and the ‘C’ model with a weight of 62 tonnes, length of 30 ft 6.5 in (9.31 m), suspension featuring 45 road wheels, six main bogies and nine top rollers, powerplant of four 110-hp (82-kW) engines powering a petro-electrical transmission, and armament of one 75-mm (2.95-in) gun. Nivelle’s misgivings were reinforced by the inquiries of a parliamentary financial commission, and Breton’s plan to order 50 vehicles based on the mock-up was therefore rejected. The 1 February order for two additional prototypes was confirmed by the CCAA on 7 February. Eventually the FCM 1A was to be developed with a 105-mm (4.13-in) gun and the FCM 1B with a petro-mechanical transmission. Initial progress with the FCM 1A prototype was satisfactory, and FCM was assured by Renault in January 1917 that the planned 200-hp (149-kW) engine was reliable and would pose no danger to the project. FCM then predicted the completion of the first prototype by 1 May, and as late as 10 April was still confident that the first trials could be started within five weeks. However, on 16 April the ‘Nivelle Offensive’ failed completely, and the first use of French tanks was likewise a disaster. Thomas immediately ordered the end of all tank developments and production. This led, however, to a forced alliance between Estienne and Mourret to reverse this decision. When Thomas was on a visit to Russia, Mourret quietly ordered the resumption of work on tank projects. The returning Thomas engineered the sacking of Mourret, thus removing Estienne’s greatest rival.